Mar 29 2017 Update - New full install/configure demo video! Those backup speeds for handling a Windows 10 Creators Update full VM backup [35GB VMDK] are pretty incredible. The VM and the backup repository are located on an M.2 NVMe SSD. 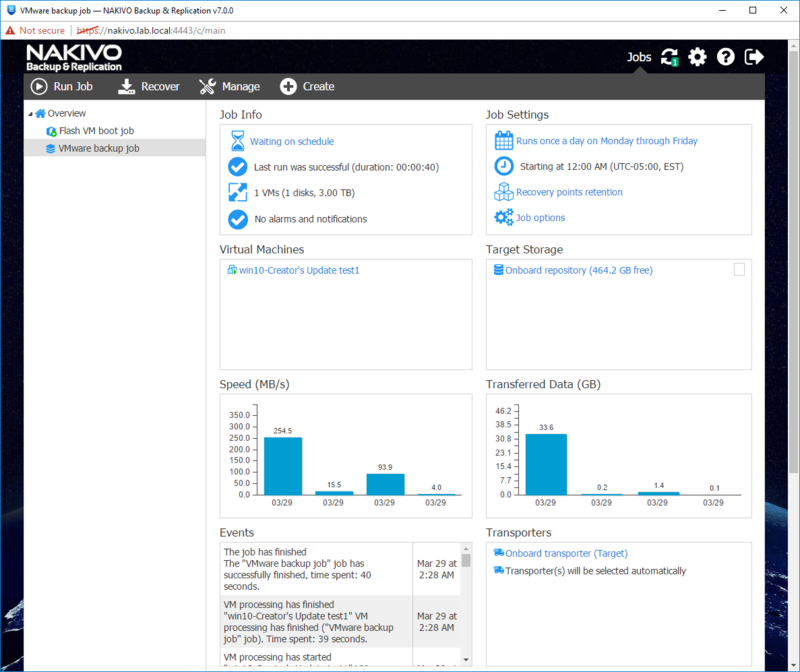 it turns out that NAKIVO 6.2 worked just fine with ESXi 6.5, even if it wasn't fully supported quite yet. 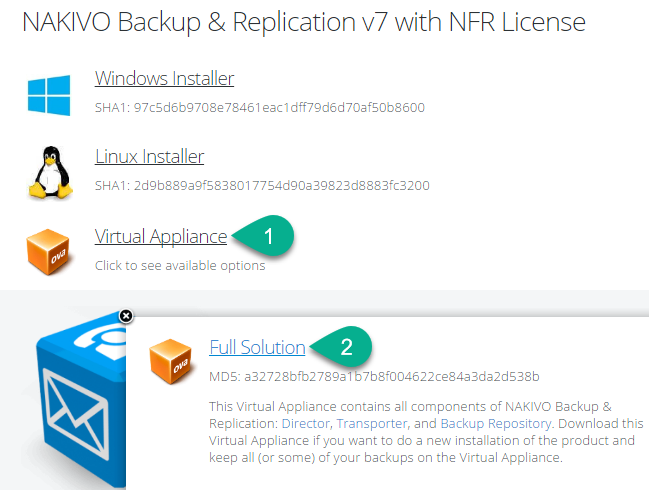 I demonstrated full backup and recovery in my video that I called "Updating NAKIVO to v6.2.0.14770 & testing vSphere 6.5 VCSA backup vs. VMware's FTP backup from VAMI."" There's a lot more to this release, including support for Microsoft Hyper-V 2012 and 2016, see many more new features listed here, with highlights below. Once you fill out the form (screenshot below), you can immediately start the download of the Virtual Appliance to give it a try. This includes vExpert, VCI, VCP, VMUG member, VSP, VTSP, and NAKIVO Resellers, with no time-bomb. Just fill out the form here for instant download access. Note: you may have to use a work email address. IT Pro? Click the image above to fill out the form for yourself. 1) Now that you're past providing contact information, click 'Virtual Appliance' then 'Full Solution' for the easiest way to get going in a VMware vSphere environment. If you have a compatible NAS listed on page 4 here, that install-directly-on-NAS procedure is different, see Synology and Western Digital articles. or a later, 625MB in size. 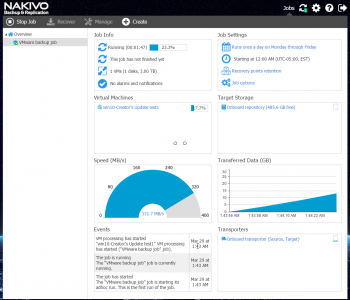 2) Deploy the OVA, much like as illustrated in detail by NAKIVO here, but if you're on vCenter 6.5, you'll need to use vSphere Web client instead. Now you're able to login that first time without credentials, and a simple wizard asks you some basic questions. Clicking next next next is OK, now you're ready to configure your first backup job. 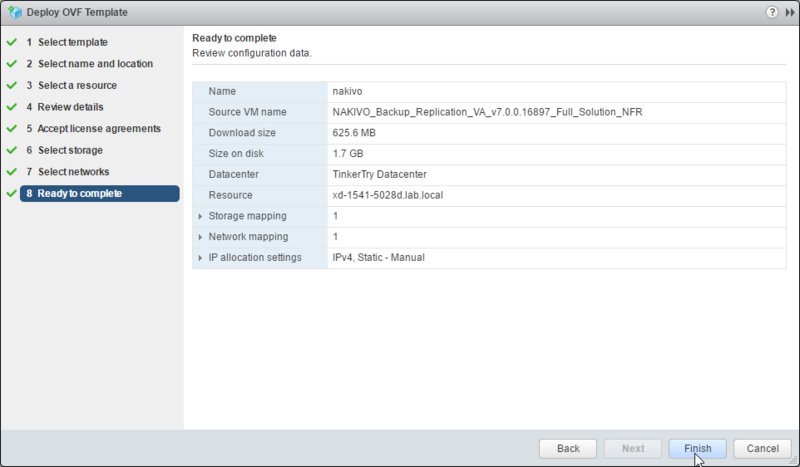 It only took a few minutes to install the appliance then configure it, creating my first backup job. Easy! After data deduplication, the product automatically compresses each block of data so it occupies even less storage space in a backup repository. Data compression and traffic reduction techniques enable the product to reduce network traffic by 50% on average, thus decreasing the network load and speeding up backup and replication times by 2X. 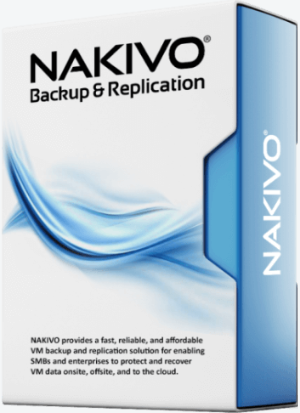 NAKIVO Backup & Replication can run dozens of backup, replication, and recovery jobs simultaneously, which speeds up data processing and shortens the time windows allocated to data protection. 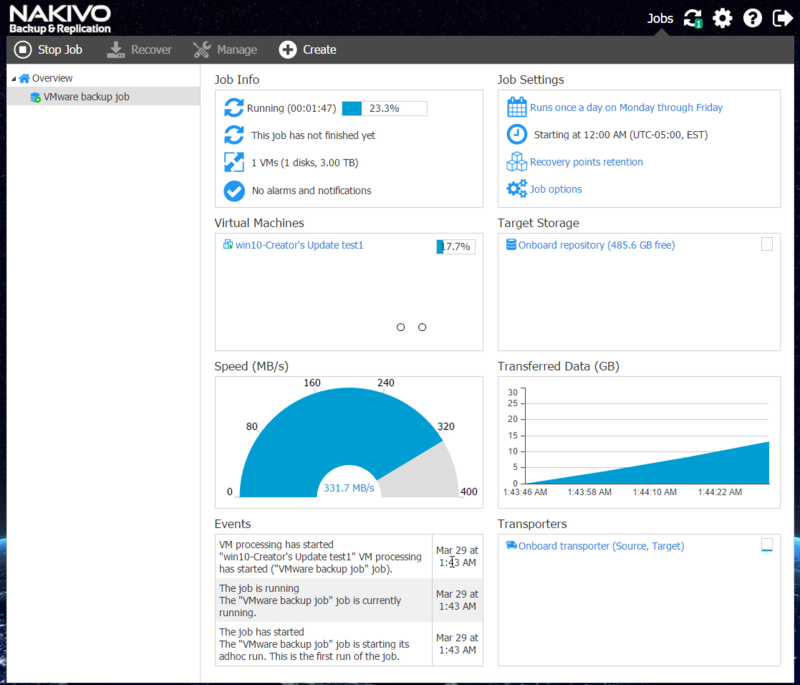 We have verified that OVA you used can be successfully deployed using vSphere Web Client. In your case there was some kind of time out on validation step. It can be caused by slow network connectivity or some other issues. We will work to update our instructions so they describe Web Client scenario, thank you for pointing that out. I'll check into that. Whatever happens, OVA file alone method, or the OFV and two VMDK files together method, the video I published above shows both methods, so it's all set as-is. Enjoy! Yes, I had a networking problem, now resolved. Video above edited to remove the now-irrelevant section, and instructions above simplified accordingly. "pbraren-w01" VM cannot be processed. Time spent: 13 minutes. VM processing will be automatically retried in 15 minute(s). Reason: "BackupDataCopy" action failure. 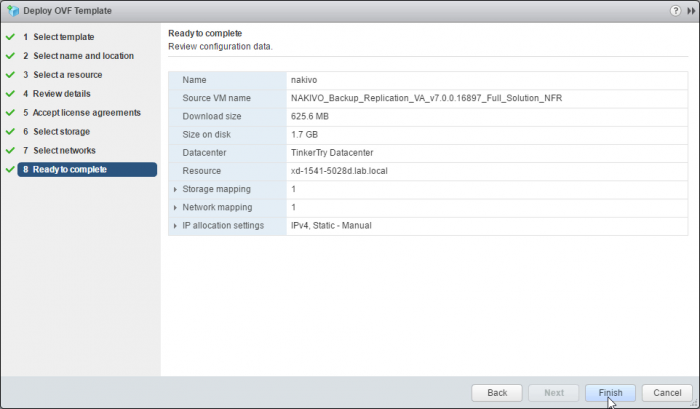 VMware vSphere Storage API error has occurred on the "Onboard transporter" transporter. "pbraren-w01" VM processing has started ("VMware backup job" job). The "VMware backup job" job is currently running. I have now tested this out, and it has apparently fixed my issue, helping to restore some of my confidence. But I'm still not comfortable relying in pre-release code, hopefully 7.0.1 GA arrives soon. This article update is here for information purposes only, it is not official guidance, you should contact NAKIVO directly for proper guidance and support. instead of into the root. I show this properly in the first screenshot below, where I then go on to show the local console of the appliance, as I kick off the update process. Admittedly, I would hope future versions would let you do such patching right from within the Web UI. NAKIVO has acknowledged this request, and it's in their plan for future releases. then just follow along with the update guidance above. 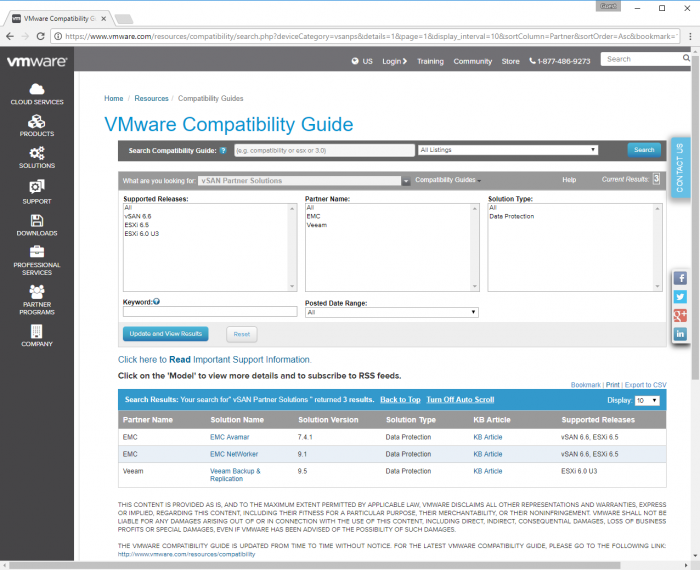 I have noticed that NAKIVO v7 hasn't shown up on the VMware Compatibility Guide - VMware vSAN Partner Solutions search results page. It's important that you be aware of this. I don't know the reason(s) why it's not listed there, but I've reached out to NAKIVO for comment.